Kokoro's school is teaming up with another to form a bazaar so they can sell/re-home gently used items everyone no longer uses around their homes. On her way from from school Tama Elder tells her that she and her Cocotama friends won a trip to the Cocotama World. Here they see how full fledged Cocotama gods work. Elder Tama asks for Kokoro's help in helping humans realize the value of their items instead of so easily tossing them away. But Tepple had snuck into the Cocotama world with the others and taken a key acorn which unlocks the Happy Tree that contains Happy Stars, the source of magic for their world. Elder Tama found out it was missing and the Cocotama gang try to track it down. He says that mushrooms are appearing on tossed away items that as they are born from the feelings of sadness, and they emit a negative energy that effects both humans and Cocotama. Cocotama can get rid of them but not without the acorn and not at the speed humans are currently discarding items at. Tepple uses the acorn to take a Happy Star but inadvertently causes a rift of darkness and an infestation of mushrooms in Cocotama World. And Happy Stars begin spilling out into the human world draining all magic out. 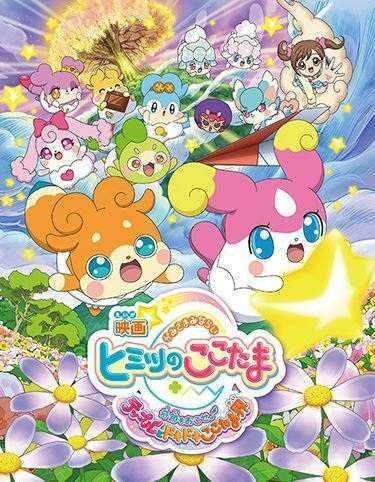 Kokoro and the Cocotama must heal Tepple's heart before the darkness consumes the human world.